This time, I wanted to show you how to make your own glass planters. You don’t have to be a glass-smith to be able to cut glass, Yes you can go and buy a tool to score the glass and then add a little pressure to crack it but the tool isn’t always ideal and can leave the glass sharp.. Don’t fret, there is other ways and they are so simple you will be cutting all sorts of glass in no time. There are many reasons you may want to cut glass. Glass would be better to boil your water in if you had no cups or metal bottles at hand. They can store food in better than their plastic counterparts. The list is just huge. 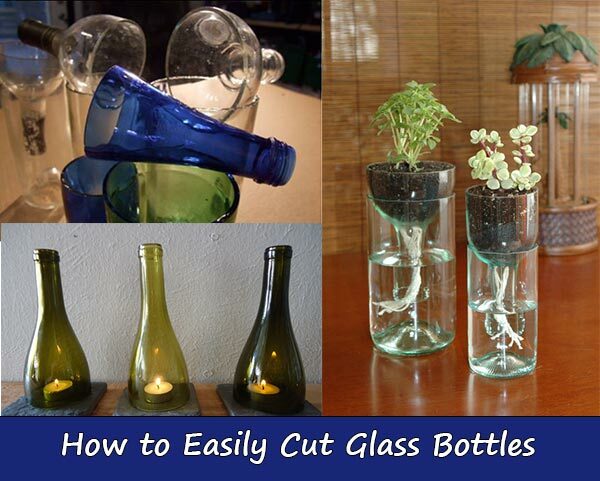 You can do it simply by using a beer, soda or wine bottle. Just be creative! Next The Everlasting Garden: 10 Fruits and Vegetables You Can Plant Once and Enjoy Forever!